NAF M Power is a high quality supplement designed to aid healthy, natural development of muscle. It is ideal for horses who are: fit & competing; showing signs of muscle wastage; young or have had time off work. 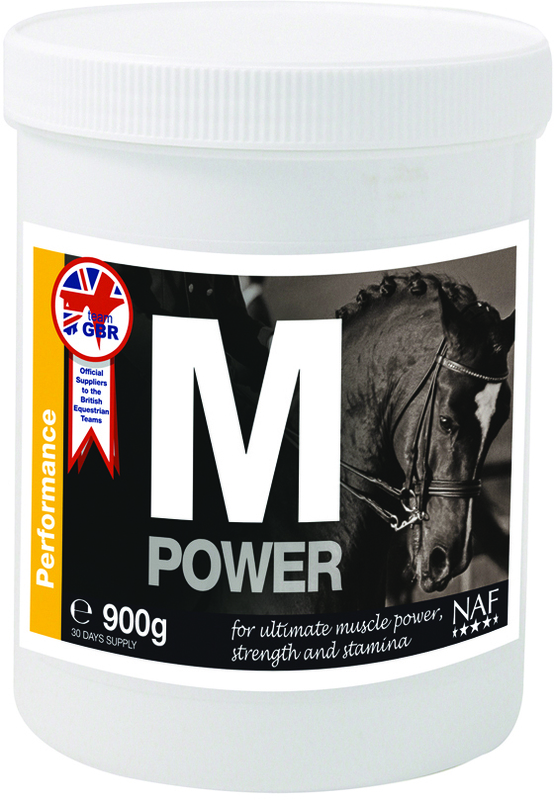 NAF M Power can help with your horse's stamina, stregth & muscle power. It's rich in amino acids (which combine to form protein & therefore muscle); anti-oxidants; vitamins; minerals; herbal extracts & yeasts (which enable your horse to get the most out of their diet).